Chinese manufacturers are setting up shop in the U.S.
More manufacturing jobs are coming soon to America, courtesy of China. 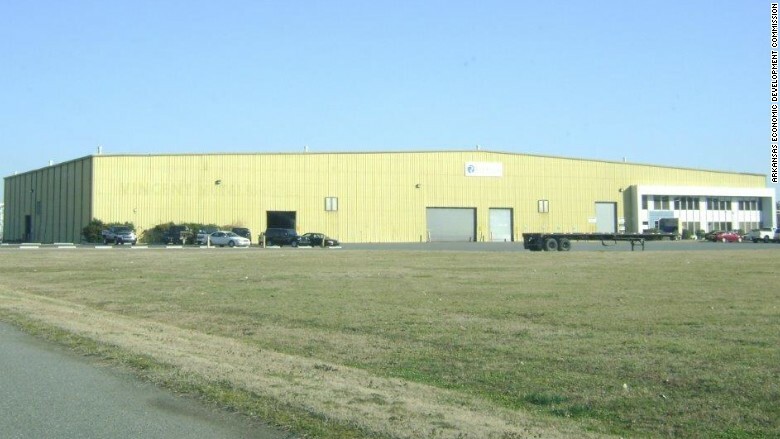 In October, Chinese garment manufacturer Tianyuan Garments Co. sealed a deal to acquire a defunct 100,000-square foot metal fabrications plant in Little Rock, Arkansas. The $20 million investment would make Tianyuan -- which produces clothes for brands like Adidas, Reebok and Armani -- the first Chinese manufacturer to make clothing in the U.S. The Chinese firm expects to hire 400 American workers to run the refurbished factory, slated to open in late 2017. 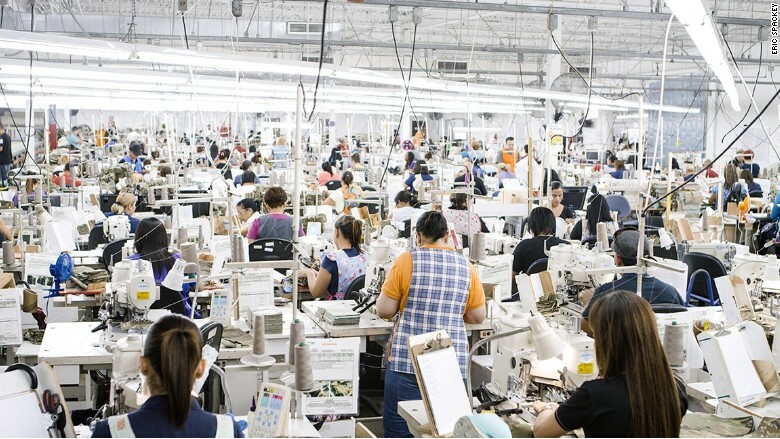 Tianyuan Garment is the second Chinese company in a span of six months to announce it was expanding production to the U.S. In April, Chinese paper products maker Sun Paper Industry said it was opening its first North America factory in South Arkansas, investing more than $1 billion to construct a new bio-products mill that would create 250 local jobs. Tianyuan Garment will convert this dead plant in Little Rock, Arkansas into a garment factory with plans to hire 400 workers. While the offshoring of American manufacturing to Asia was once popular, now an inverse trend seems to be gaining traction, as foreign producers become eager to break ground in the U.S. Some of the same factors that pushed American firms overseas decades ago is driving the new movement, thanks to high costs of labor, resources, energy and transportation in China. "Foreign companies are eager to cut their costs by being closer to their customers," said Mike Preston, executive director with the Arkansas Economic Development Commission. "It's why they're coming to America." Bluewater Defense, which employs 500 people, makes combat clothing for the U.S. military. Tianyuan operates five factories in China, but it sees its biggest market as North America. "It's cheaper for them to be here," said Preston. Arkansas makes sense for a few logistical reasons, he added. "We're midway between Canada and Mexico and a one-day's truck drive to 60% of the U.S. population," said Preston. Arkansas' status as a cotton producing state is especially attractive to textile and clothing manufacturers. 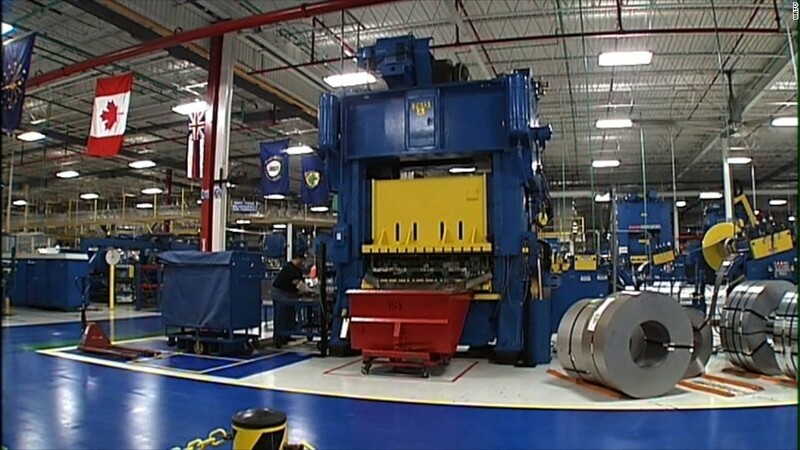 The state is actively wooing foreign manufacturers through an incentive package. In return for its investment, Tianyuan receives a $1 million infrastructure grant, $500,000 for training assistance and a 3.9% annual tax rebate, which comes to about $1.6 million annually. "When you add more jobs, there's a multiplier effect in a place like Little Rock," said Preston. "Having a new clothing manufacturers here will affect everyone, from the cotton farmer 40 miles out to the trucking and shipping companies moving the products out to customers." A similar story is playing out in North Carolina. "We know how to make things here," said John E. Skvarla, III, Commerce Secretary for North Carolina. The state, which is known for its textile and furniture production, is seeing robust interest from both domestic and foreign manufacturers. "The three states I get the most calls from are California, New York and Illinois," he said. "One manufacturer with 1,000 workers pleaded to get into North Carolina because of our favorable regulations, low taxes and great quality of life." Foreign firms are keen on the state for the same reasons as Arkansas. "[We] can't do away with regulations but you can help companies better navigate them and make them less burdensome," said Skvarla. "We try to do that and we've brought down our business tax rate from 6.9% to 3%, the lowest in the U.S."
Skvarla isn't worried about American companies having to compete with foreign firms on their own home turf. "Economic growth doesn't hurt -- ever," he said. But others aren't quite so confident. Eric Spackey -- CEO of Bluewater Defense, a manufacturer of U.S. military combat clothing -- wants to open a facility in North Carolina. The firm currently has a facility in Puerto Rico with 523 workers. But the incoming tide of foreign manufacturers raises concerns for Spackey. "Foreign companies have significant financial resources and investment capital to set up a new factory here, and they're getting great incentives," he said. His fear is that American companies trying to keep operations running in the U.S. lack the capital and government support to compete for that expansion opportunity at home. "It puts us at a significant disadvantage," Spackey said. "We're now not only competing for the same business, we're now competing for resources, like workers."